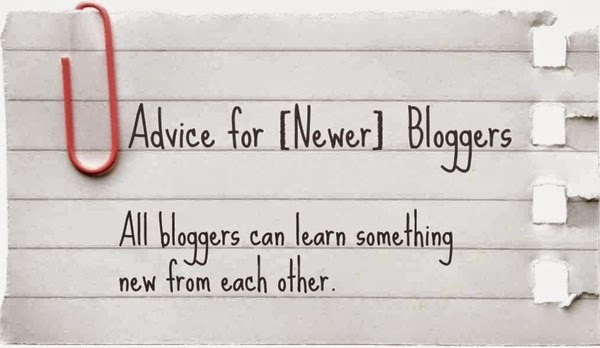 Blogging advice can be found everywhere, or deciphered through reading other blogs. That is where I get my advice from, reading other blogs, and modifying other bloggers' techniques to fit my needs, and my blog's needs. If I had known these simple tips and tricks, I could have grown my blog's following within the first year of blogging. I have been blogging for three years, and just in the past three months, I have seen amazing growth in my blog. After I took a little bit of time each night to follow advice from other bloggers, my stats increased drastically. 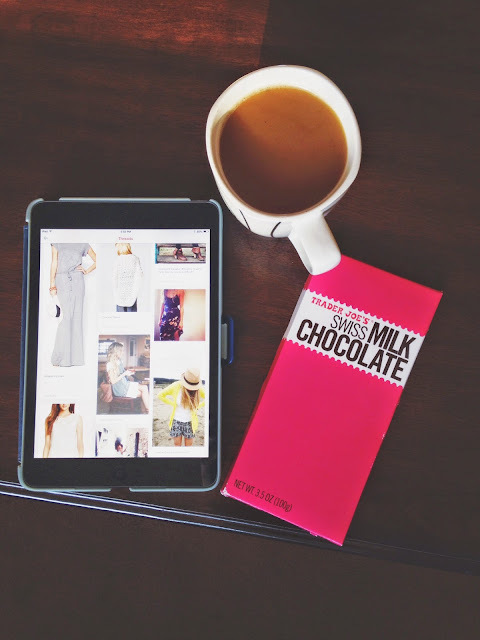 First of all, social media is a major tool in the blogging community. Social Media helps get your blog, your words, your name out there to potential readers, or to update your readers quickly. Your social media, though, is not just for updating, but it is also for connecting. I have found many bloggy friends from simply liking their picture on Instagram, or pinning their pin, retweeting their tweet, it can be as simple as that. Social media is KEY. If you want readers to spend time on your blog, you have to spend some time on other blogs. Read some of their most popular posts, dig through their blog and get to know the blogger. Remember to leave comments, and set it so it notifies you when a new comment is added. Viola! You are connected with that blogger. Not only are you connected to that blogger, you are connected to other people, and other bloggers who left a comment as well. Don't be discouraged if you do not get a reply from a blogger on your comment, you still did your part as a blogger, and as a part of the blogging community to leave some love for that blog. Don't be discouraged by the "bigger" bloggers, the bloggers with a splendid following, great content, great blog design, and the bloggers that seem to be offered a lot of opportunity. You know those bloggers, they are our favorites, and the ones we admire to no end. I used to be discouraged when I would find a blog that had a huge amount of followers, I would tell myself to forget commenting on that blog or even reading it because all I was, was this little, tiny stat, and a commenter among hundreds of commenters. That is so not true. Even the bigger bloggers care about stats, they care about their readers, they write their content to be read. Use the "bigger" bloggers as a mentor to help you learn more about blogging, and to help you improve. There is always room for improvement. Creativity is another major tool in blogging, but if you feel that you do not have a creative bone in your body, (Don't worry, you do! It is somewhere!) use Pinterest as an aid. I use it constantly, even creative people use Pinterest. It is an epidemic. I have used Pinterest to help fuel so many posts, it is so helpful. With blog design, you want your blog design to reflect your personality, or reflect the theme of your blog, but you also want your blog to be clean cut, professional looking, and you want to keep the sidebar organized. A blog should have an "about me" page, or section. Readers want to know who the blogger is, and of course companies that might want to work with you want to see who they could potentially be working with. In your "about me" page or section, it is a good idea to add your name, the city you live in, a few words on what your blog is about, and your email to make it P.R. Friendly. On your sidebar, you also should include your popular posts, your social networking links, and after that it is whatever you would like to add, but keep it organized; don't clutter up your sidebar unecessary items. The readers' first impression on your blog is not determined by amazing content, it is determined by how your blog looks, then comes the amazing content. Other bloggers will tell you to stay in your niche, or your theme, and if you want to stick to your theme, go for it! But, if you are an all-over-the-board blogger like myself, you don't really have specific niche, or theme. 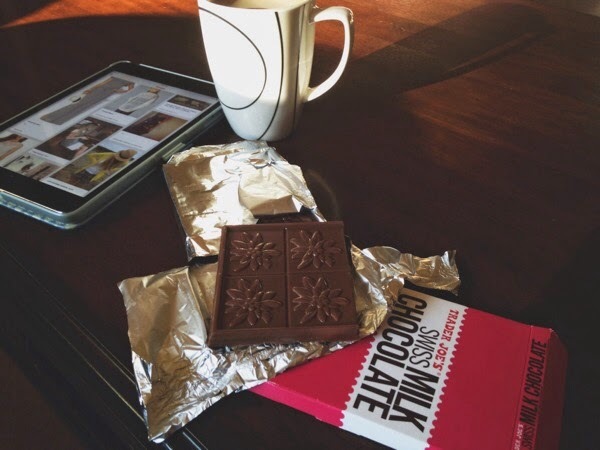 I post recipes, crafts, fashion, beauty related posts, and posts about my life and thoughts. If you want to branch off your theme, don't be afraid. There are readers for all sorts of content. That is why I love being a lifestyle blogger, I can blog anything, and it isn't deemed "out of my niche", because you post about a little bit of everything. To me, blogging is a constant learning process. My last, little tip for you bloggers is to get involved in blogging networks, and to participate in Twitter parties. There is a Twitter party for bloggers every Tuesday night at 9:00 pm, CDT. Go follow @BlogElevated and during the Twitter party, use #BlogElevated. I have learned so much from these Twitter parties! I made my media kit with their help. Each #BlogElevated Twitter party is themed to help bloggers reach their highest potential. The Twitter party lasts one hour, and that hour goes by so fast! Get involved in those blogging networks, and Twitter parties. They are seriously so helpful! I hope that these little pieces of advice have been helpful, and yay! it is finally the weekend! I have some exciting posts coming up in the next week, so stay tuned! Absolutely, Girl! We all have something to teach other! I should make a linky party for that. :) see, you just inspired me. We can all inspire each other, teach other, learn from each other. And the Twitter Party, why not on Tuesday, you join in! Do you have a twitter account? I will add you in, and the blogging tips you will learn, you will be amazed! I've been blogging for long now and your tips are so true! :) You won't get readers if you don't read other blogs yourself. Exactly! You connect with other bloggers, give their blog some love, and you can learn a lot from them. Great tips Courtney! Thank you for finding my blog Beau Vie and I look forward to reading your blog posts! Well written blog which includes few amazing tips. Keep updating.